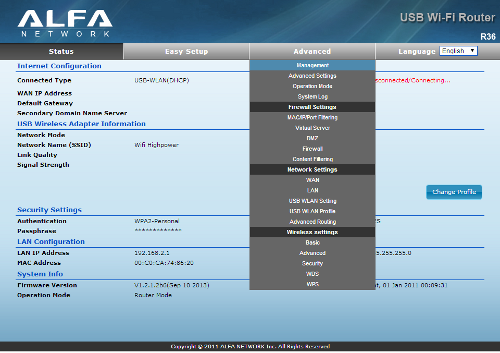 The R36 comes with a default firmware for use with AWUS036H or Awus036EW example. 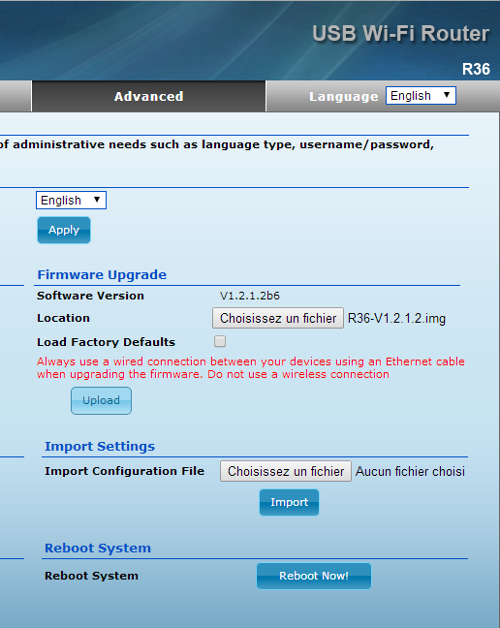 This guide explains how to install another firmware to use the R36 with AWUS036NH or Awus036NHR. 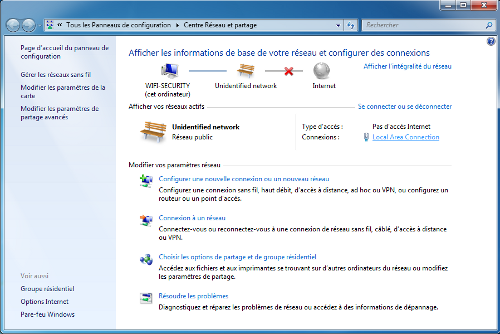 The screenshots were made under Windows 8.1, but the procedure is similar with other operating systems. 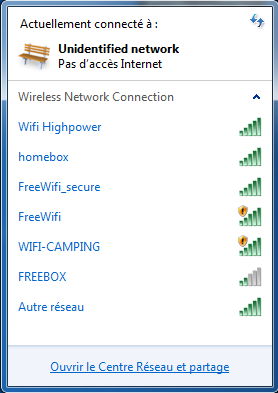 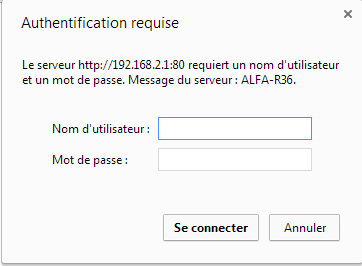 You can take the opportunity to use an alternative DNS server, such as Google whose IP address is 8.8.8.8. 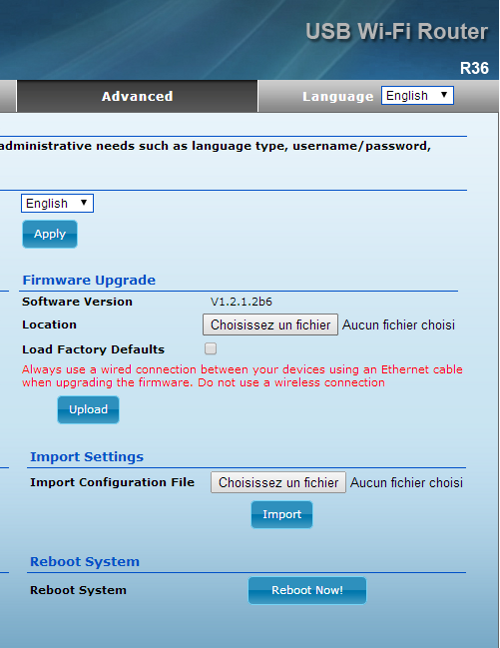 It remains only to Validate settings upon exit and click OK box. 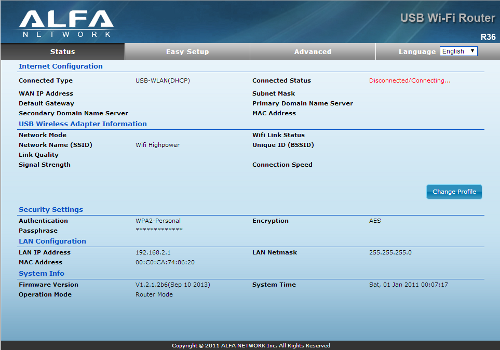 The new parameters will be taken into account. 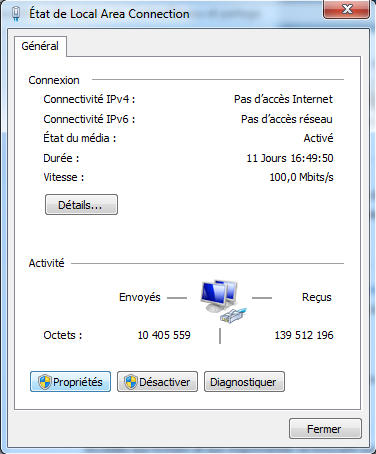 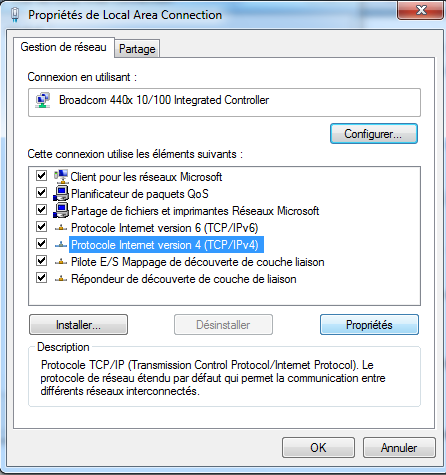 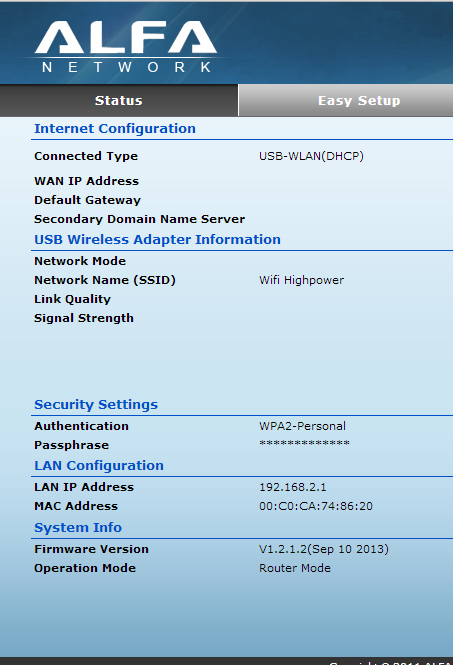 To use your new computer Ip address automatically, you just have to go again in the IPv4 properties connecion of Obtain IP address automatically and validate an address check.